Launched in January 2018 by partners Attorney Ayanna Alcendor and Attorney Jehan Crump-Gibson, Great Lakes Legal Group is an African-American and female-owned law firm in Metro Detroit. The firm has two locations, one in Corktown and another in Oakland County. GLLG joined the thriving community of small businesses in Corktown in February 2018, with the opening of its 14th Street office at St. Vincent’s Corktown. The firm has been privileged to be a part of this diverse and historic community. A restaurant is more than just a place to eat. It’s a place to connect, reflect on the day and unwind in good company. Corktown is one of our favorite corners of Detroit, so when the owner of Brooklyn Street Local agreed to us reinvigorating her space, we couldn’t contain our excitement. 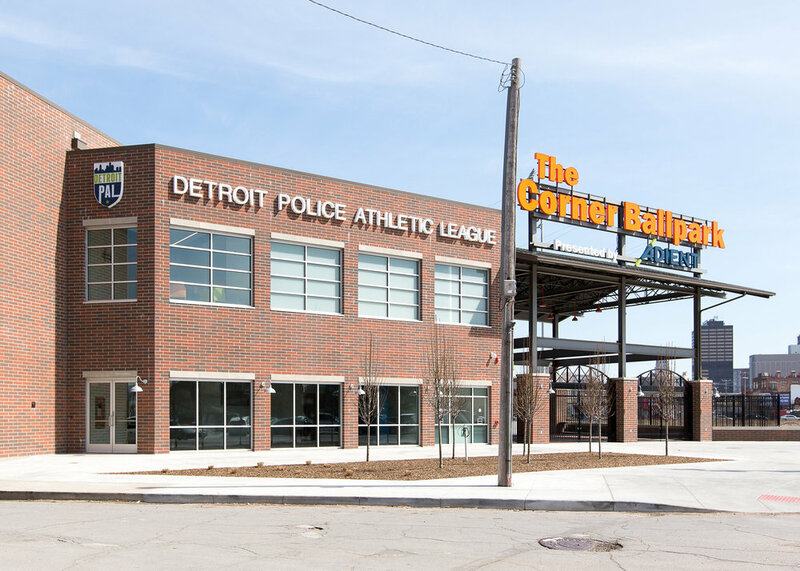 Detroit PAL launches Open Access Hours for the community at The Corner Ballpark presented by Adient. The initial Hours will be Monday through Thursdayfrom 11am - 2pm, beginning May 22nd. Detroit PAL will continue to look for additional hours for the community and kids. Detroit PAL has a mission focus to build character in young people, so Kids will be First. Detroit PAL is also committed to Corktown and the greater community. 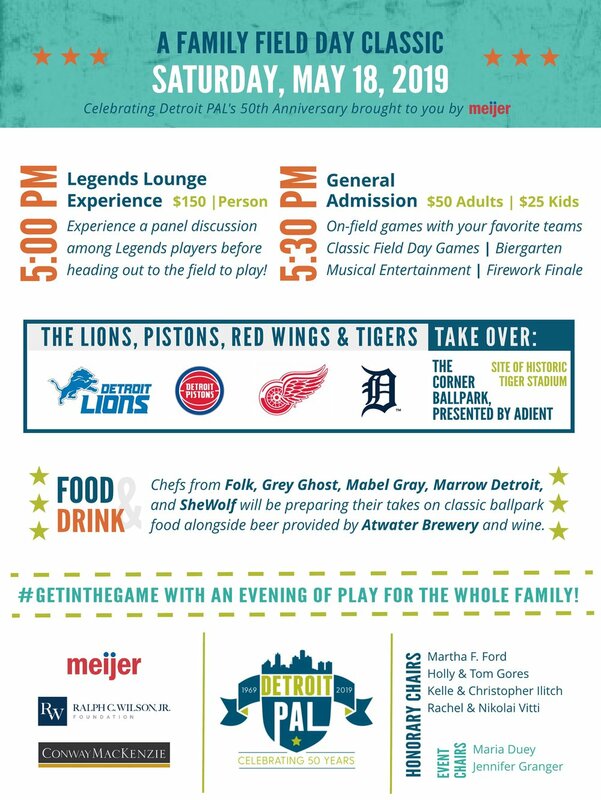 Partnerships and opportunities continue for people young and old to enjoy baseball games and other activities at the site of the Old Tiger Stadium. Opening Day for Detroit PAL youth baseball & softball leagues is Saturday June 9th at 10am. There will be many youth games during the week starting at 6pmfrom June through August. The MSBL (Mens Senior Baseball League) has games at The Ballpark on May 22, 29, 31 and June 5. There will be a Lacrosse Clinic for youth on Sunday, June 3rd at 11am. A listing of events will be posted at the newly launched Corner Ballpark Facebook page so you can stay updated on all opportunities for the community to enjoy the space and activities. Detroit PAL is looking forward to a great summer. Detroit’s Future is in Play! 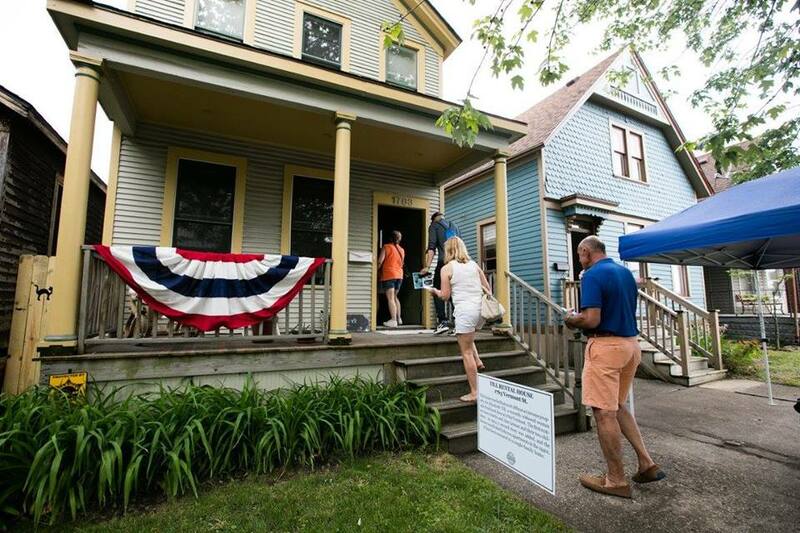 The Corktown Neighborhood Tour will be on Sunday, June 3, from 12-5pm. You can pre-purchase tickets here. 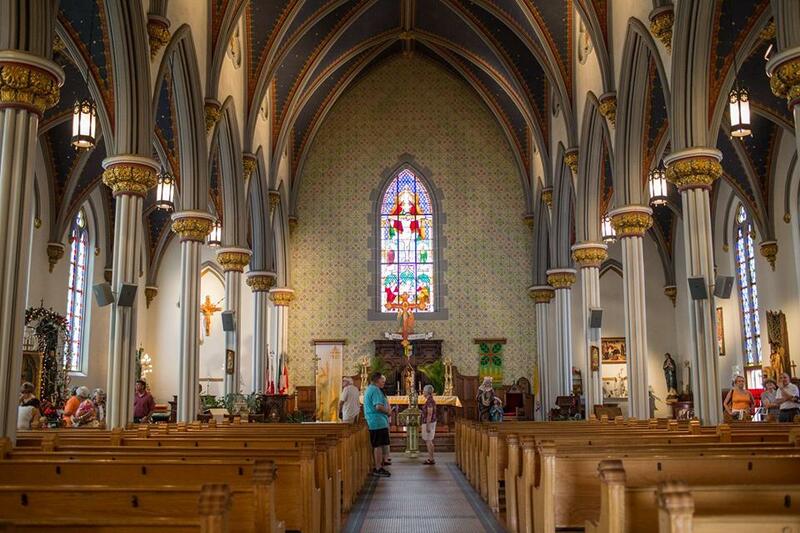 Tickets will be available at the Gaelic League, located at 2068 Michigan Avenue and The Farmer's Hand Market located at 1701 Trumbull Ave. Day of ticket sales begin at 11am on the day of the tour. Tickets are $15 and cash, credit or checks are accepted. All photos from Spring into Corktown 2017 by Sarah Barthrow Photos. Volunteers meet at The Farmer’s Hand to sign in and enjoy complimentaryDetroit Institute of Bagels bagels and The Farmer's Hand coffee. Look for the The Happier Camper Information Station! Participate in community togetherness with neighborhood flower planting and clean-up. Tools provided and donated by AmeriCorps and Brooks Lumber Co. & Ace Hardware - but if you have your own tools or supplies please bring them. Don’t forget your sunscreen and water! Stop by the creation station with Arts & Scraps where you can make hats and masks for the kids parade at 3pm lead by the Detroit Mounted Policealongside Heritage Works drummers. Tim Campbell owns Midtown Composting, a composting business moving closer to a zero waste Detroit and making healthy, locally grown produce more accessible. Several businesses in Corktown are already using Tim's service and that number is growing. "Promoting the Business and Economic Climate of Detroit's Historic Corktown area"
On Tuesday, February 6 CBA board president Deveri Gifford along with board members Dennis Fulton, Erin Gavle, and Debra Walker accepted the award at the City Council meeting. Board member Matthew Buskard hosted a celebration lunch at Bobcat Bonnie's with residents and CBA members. Thank you to City Council for recognizing our hard work and CBA members for all your effort to make Corktown the community we believe in! The Second Annual Corktown-a-Glow took place on Saturday, December 9th throughout Corktown, Detroit. The day-long event was filled with community spirit, Corktown history, a handful of falling snowflakes, and a dash of holiday magic. Seeing so many people of all ages coming together to engage and participate in the Corktown-a-Glow festivities truly made it a Detroit holiday event not to be missed. Our neighborhood-wide events always focus on highlighting our storied neighborhood history, our wonderful residents, the hardworking businesses, and community wins like new bike lanes and public art. This year’s Corktown-a-Glow was no different and provided something for everyone. Free Corktown history tours provided by Corktown Experience accompanied the complimentary Nemo’s shuttle service throughout the neighborhood. Restaurants responded with surprise specials while shops threw parties and hosted activities. Photos with santa from Bondo Booth, marshmallow roasting by the open fire with The Farmer’s Hand, and Mudgie’s hot chocolate. All Free. Festive drum circles with Heritage Works, Christmas caroling with opera singer Giles Simmer. Even the mounted police made an appearance! People enjoyed collecting their raffle prizes from Corktown Businesses. And gathering gifts for our less fortunate Detroit neighbors. The day is a true glimpse into the embodiment of community. Our goal is working…but it takes a village to plan an amazing neighborhood wide event. Want to get involved? If you or your business would like to help us keep growing our mission and event we’d love to work with you. Please reach out to join our events committee, sponsor or volunteer for our 2018 Corktown-a-Glow! We can’t wait to hear from you.